Great Big Story in partnership with AccorHotels takes its viewers on a cinematic journey exploring exquisite architecture, art, traditions and music. 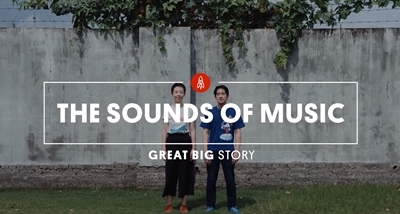 In this four-part mini-series Great Big Story journeys through Singapore, Chengdu and Shanghai to meet passionate architects, musicians and discover traditions that are making a comeback including contemporary Shanghai jazz inspired by the city’s 1930s jazz scene. Through the series, AccorHotels aims to inspire premium audiences and affluent travelers through the exquisite content to go and discover new destinations. The new video series will run across Great Big Story’s multiple platforms and social accounts reaching over 10 million followers and travelers around the world. Spearheaded by CNN International Commercial (CNNIC), this partnership also includes branded content produced by CNNIC’s global brand studio Create which will showcase Singapore’s famous Raffles Hotel in an immersive 360-degree video, which will launch in 2019. Influenced by the spirit of the cosmopolitan 1930s jazz scene in Shanghai, the Shanghai Restoration Project is a Brooklyn-based electronica band. Adopting a unique approach, the band uses everyday sounds from around the world for their musical productions. 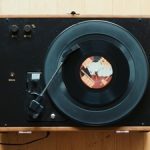 Be it the sound of leaves underfoot or a busy street corner, these quirky found sounds create a form of music that transcends borders and shows that world is a small, interconnected place. Shanghai is perhaps known best as a city of ancient history, or a city of thriving tech hubs and start-ups. But few in the west are familiar with Shanghai’s global cultural significance in the early 20th century, particularly as the center for China’s first Golden Age of Cinema. This Great Big Story will celebrate the glamour and luxury of Shanghai, both in its historic legacy as the center of cinema and how these legendary and beautiful theatres are still operating today. They clutch hefty porcelain plates in quivering white-gloved hands, praying the metal warming covers don’t betray a percussion rumble that will incur the instructor’s wrath. Upon the order advance, the eight aspiring butlers glide around a long dining table, positioning each plate between the polished silver cutlery. Synchronizing with a hawk-like peripheral gaze! We take an exciting journey through the International Butler Academy in China’s Central city of Chengdu – where over 100 graduates have been trained in the art of domestic service. Maintaining a heritage building is a lot harder than just slapping plaster on the walls. Singapore is home to 71 national monuments and we take a journey with Dr. Yeo Kang Shua to witness his love for architecture and historic buildings and how the conservation of these monuments in Singapore is a much tougher task than what meets the eye. His dedication to historic architecture has bagged him three UNESCO Asia-Pacific Awards for Culture Heritage Conservation.